Already a UCount Rewards member? Welcome to the world of Online Shopping! Online Shopping connects your business to a fantastic range of products available at the UCount Rewards Online Mall and from selected Rewards Retailers. From entertainment options and office supplies… to stationery and computer equipment, our hand-picked product range is designed to save your business time and money! Plus – we’ll deliver to your door! Browse our Online Shopping options now! 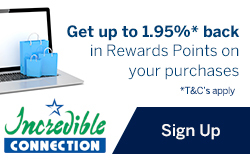 Collect up to 3.25%* back in rewards points on your purchases and redeem your rewards points at Incredible Connection. 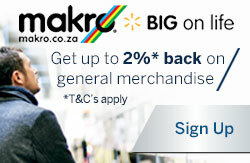 Get up to 2%* back in reward points on general merchandise. 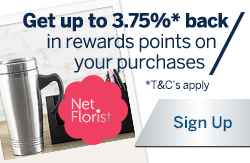 Get up to 3.75%* back in rewards points on your purchases and redeem your rewards points online at NetFlorist. 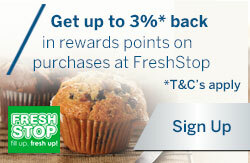 Get up to 5%* back in rewards points on your purchases and redeem your rewards points at the UCount Rewards Online Mall. 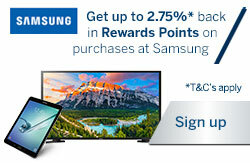 Get up to 3.25%* back in rewards points and redeem your rewards points online at the Wine-of-the-Month Club. 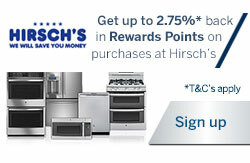 Get up to 1.5%* back in Rewards Points and redeem your Rewards Points online at the Hirsch’s. 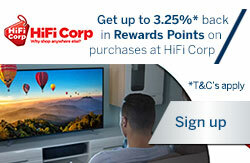 Get up to 3.25%* back in Rewards Points and redeem your Rewards Points online at the HiFi Corp. If you are a Sole Proprietor and a member of the UCount Rewards programme in your personal capacity and you register your business on the UCount Rewards for Business programme, you will receive a bonus of 3600 rewards points – that’s R360.00 per year! If you have a Closed Corporation or Pty Limited company, and any partner is a member of the UCount Rewards programme, you will also qualify to receive the dual membership bonus! Your bonus will be credited directly to your Business rewards account after 12 consecutive months of being a member of both programmes. 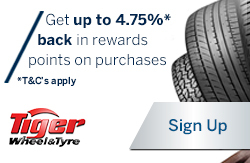 You will collect reward points for linking your Twitter account to UCount Rewards for Business. You will also be rewarded for your positive interactions with #UCountBusiness. Click here to find out more. No matter where you shop or what you buy**. Simply pay for your purchases using your Card and your rewards points will be automatically credited to your rewards account once a month. Maximise your rewards by using your Credit Card. PLUS… want to get business-related products and services at great prices without having to leave the office? Buy them in-store or online from our Participating Rewards Retailers or from the UCount Rewards Online Mall and collect even more rewards points! Choose from a range of items like electronics, office supplies, furniture, stationery and much, much more – and collect up to 1.25%* back in rewards points on all these! Click here to see the Online Shopping deals on offer. * Collecting rewards points is limited to a spend cap of R50 000 per month (that is the total value of all purchases made on your Business Credit, Debit and/or Cheque Card). Spend exceeding this monthly amount will qualify to collect rewards points at a rate of 0.1%* for Cheque and Debit Cards and 0.5%* for Credit Cards. ** Excludes gambling, toll gates, cash advances, electronic funds transfers, inter-account transfers and payments, cash withdrawals, foreign exchange purchases, cheques issued, stop and debit orders, non-Caltex fuel purchase and garage Card purchases. Simply swipe your activated UCount Rewards Card at Bidvest Premier Airport domestic and international lounges within South African airports only. Bidvest terms and conditions apply. Access to the Bidvest Premier Lounges will only be granted for one and a half hours for domestic lounges and four hours for International lounges. Should UCount Rewards members exceed these time limits, Bidvest Premier Lounge will be entitled to charge the UCount Rewards member again. Members of UCount Rewards will be charged the following Access Fees rates when using their UCount Rewards Card at Bidvest Premier Airport Lounges. Children under the age of 2 gain free access to a domestic Bidvest Premier Airport Lounges. The Guest rate for access to Domestic Bidvest Premier Airport Lounges will be applied for Children over the age of 2. Early check-in fees of R30 per 15 minutes will be charged. Children under the age of 2 gain free entry to International Bidvest Premier Airport Lounges. The Guest rate for access to International Bidvest Premier Airport Lounges will be applied for Children over the age of 2. Shop to your heart’s content with great deals on a wide range of products and services. The best part is that the products you purchase are delivered right to your doorstep. And if you don’t have enough rewards points for an item, you can simply pay in the difference using your qualifying Standard Bank personal Credit or Cheque card. To view your balance log into your rewards online profile or SMS 'Balance' to 32700. SMS costs R1. Who is eligible to Sign Up? What Standard Bank products and services give me tiering points? a registered credit provider in terms of the National Credit Act, registration number NCRCP15.